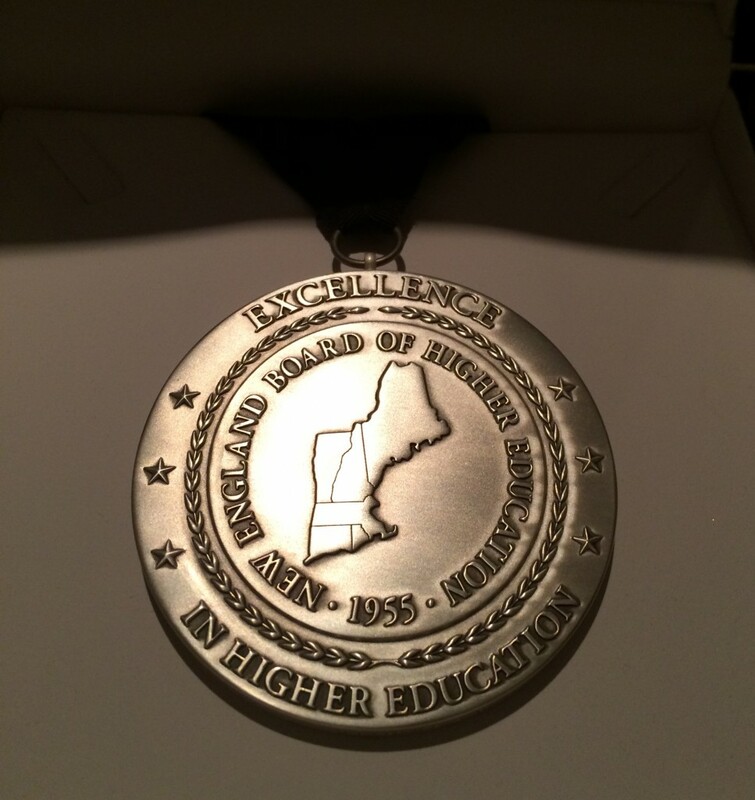 Last Friday March 7th, the New England Board of Higher Education honored former University System of New Hampshire Chair Edward C. Dupont Jr., when the regional organization held its 12th annual New England Higher Education Excellence Awards celebration at the Boston Marriott Long Wharf Hotel in Boston. 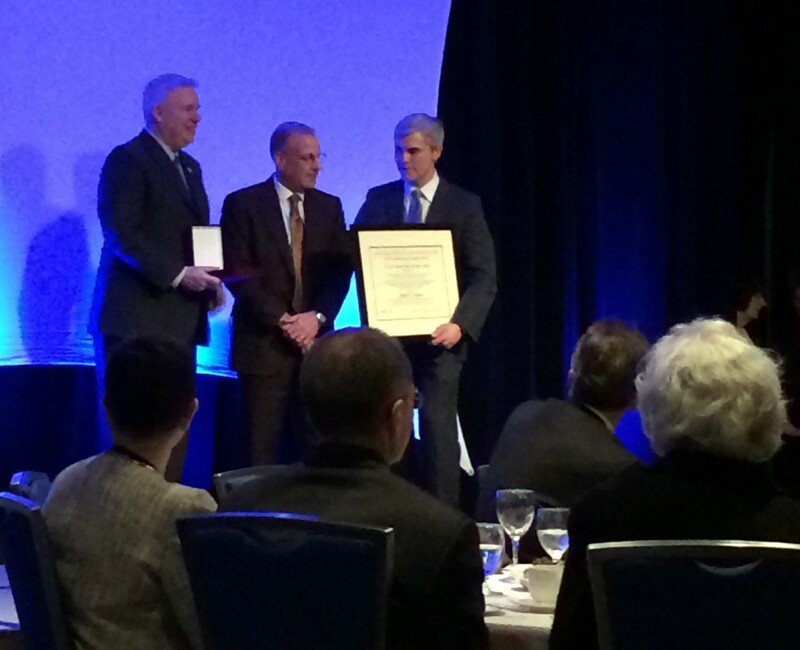 Ed received NEBHE’s 2014 David C. Knapp Award for Trusteeship. He will share the award with Gary W. Moore, chair of the Vermont State Colleges Board. A student at the University of New Hampshire from 1968 to 1972, Dupont was appointed to the USNH Board of Trustees by Gov. Craig Benson in 2003, then by Gov. John Lynch for two additional terms. He served four years as vice chair of the board and four as chair. As chair, he oversaw the hiring of presidents at two of the four system institutions, as well as the hiring of a USNH chancellor. He led the board through the most significant governance changes in the system’s 50-year history. The changes aimed to help system institutions be more nimble and responsive to intensifying competitive, financial, political, and demographic challenges. The changes provided with institutions greater autonomy, better leveraging for cost-efficiencies and synergies, and increased CEO accountability. He commissioned a compensation and benefits review effort, known as Total Rewards, designed to: 1) reduce costs; 2) shift to a performance-based reward system; and 3) retain a market-attractive compensation package that would reflect the preferences of employees and help the system to retain and attract high-performing employees. The effort led to more than $10 million in first-year savings from self-insurance and administrative changes, along with an additional nearly $4 million dollars in savings from the benefits changes themselves. In turn, these savings are being used by the system colleges to increase needed capacity in STEM (science, technology, engineering and math) programs. Please join us in congratulating Ed on his many years of dedication to higher eduction in New Hampshire.